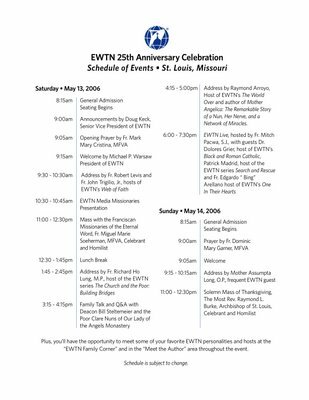 Join EWTN in St. Louis for the fourth of several celebrations of the Network's twenty-fifth anniversary. You'll have the opportunity to meet some of your favorite EWTN program hosts, hear talks from renowned guest speakers, attend a special taping of the EWTN LIVE show with Father Mitch Pacwa, S.J. 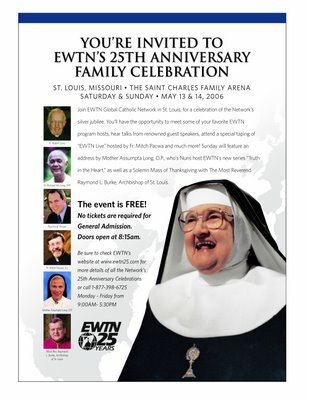 and much more! 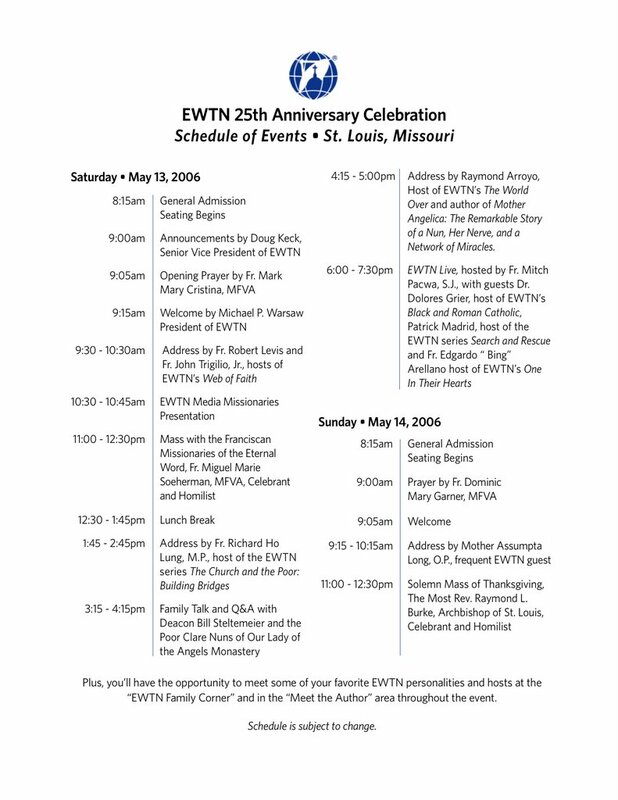 Sunday's program will feature an address by Mother Assumpta Long and St. Louis Archbishop Raymond L. Burke will be the Celebrant and Homilist for a Solemn Mass of Thanksgiving.